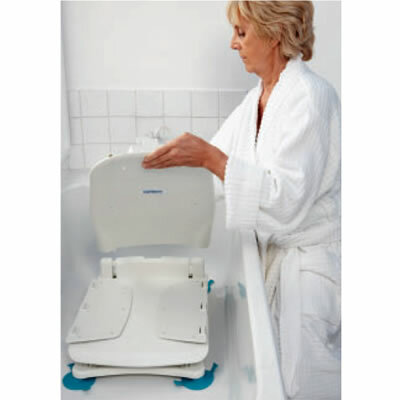 The Sonaris Bath Lift by Bathmaster features a battery-powered motor and is easy to install - all you have to do is sit it inside your tub. 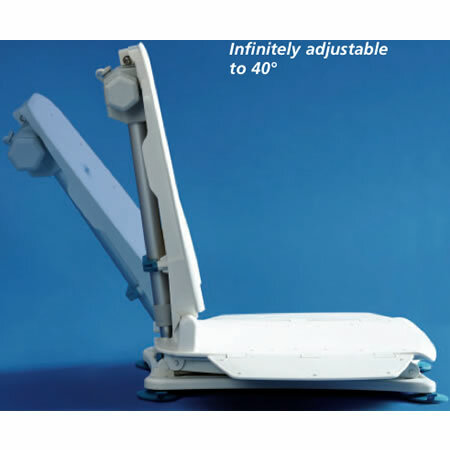 The seat and back are easily assembled and disassembled, making the Sonaris very portable and easy to take along where ever you may go. 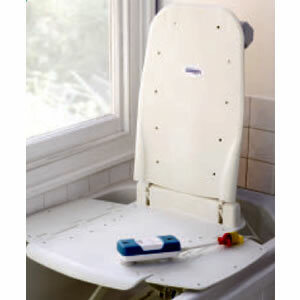 A remote hand control allows you to control raising and lowering the lift seat with the touch of a button, and smart control technology prevents the user from lowering the lift if the battery is too low to raise the user back out of the bath. The backrest reclines as far back as 40 degrees, allowing for deeper upper-body immersion during bathing. The battery will power the lift for approximately 18 uses before requiring recharging, and an indicator light and warning beep let you know when it's time to plug your Sonaris in for a recharge! 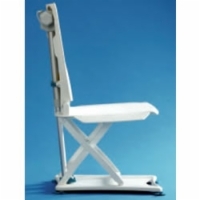 The Sonaris Bath Lift is covered by a 5-year warranty on the frame and a 2-year warranty on the hand control and recharger. Seat Width - Flaps Down: 27"